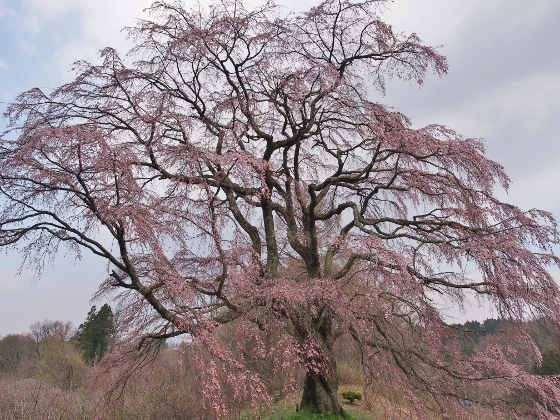 Today, I visited some of the offspring trees of Miharu Takizakura in Nakatamachi district of Koriyama City. 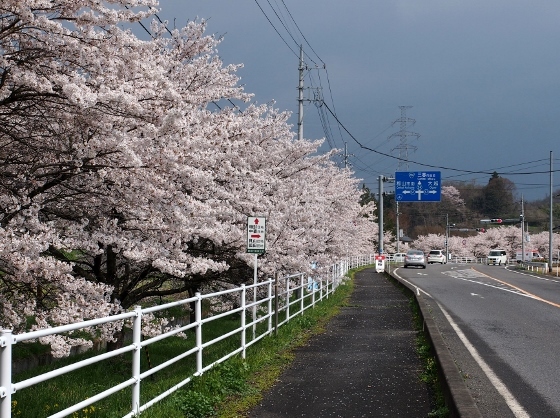 First, I found beautiful full bloom of cherry trees along the road on the way as shown above, although the sky was cloudy. 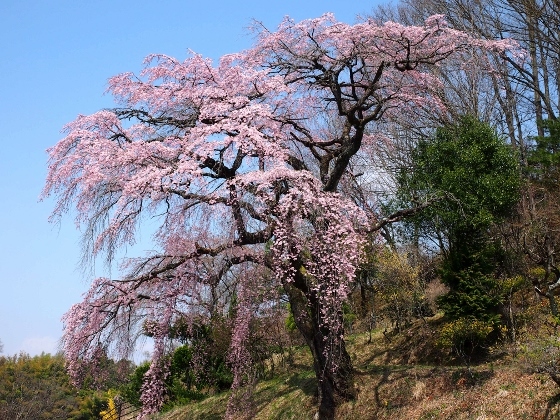 Above cherry tree is nameless but beautiful and is considered to be one of the children of Miharu Takizakura. 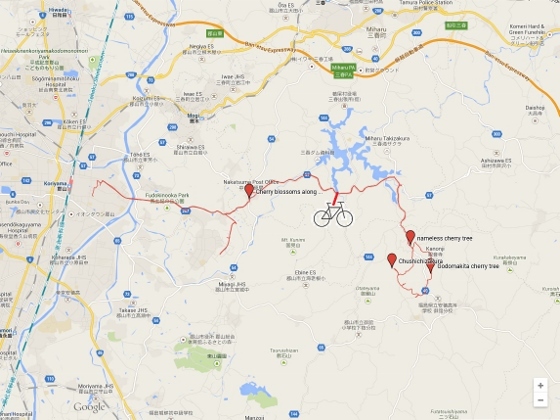 Above photo shows another famous cherry tree called Gotomakida cherry tree. All the weeping blanches make the elegant figure of the tree. 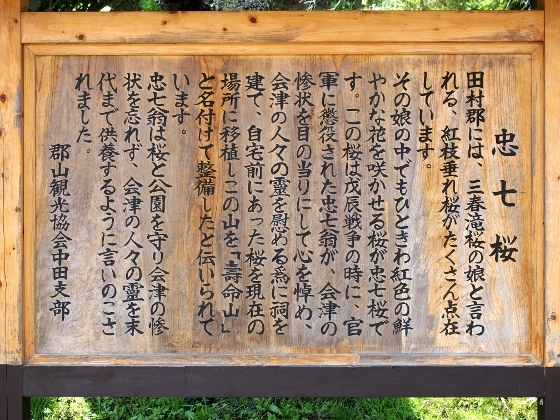 And at last, above photos show Chushichi cherry tree and the explanation board. 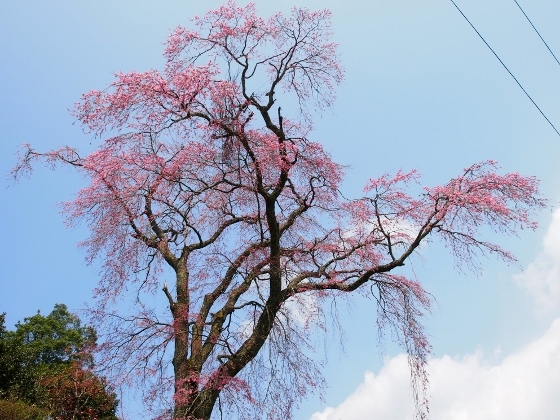 The board says this is a daughter of Miharu Takizakura and it has a special deep-pink color among many children.